It's another overall outfit that I am bringing to you all. To be honest, I think overalls are like my favorite look ever! Now that fall is upon us, you'll be seeing a lot more of these babies! I think overalls sometimes get a bad rap. 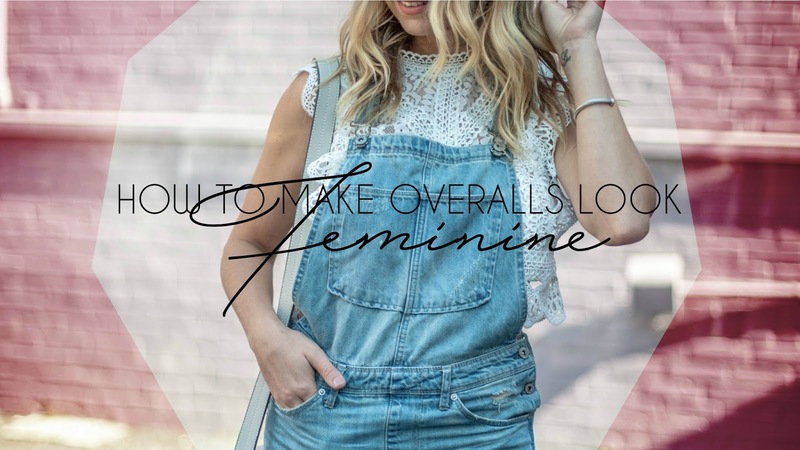 With this post, I decided to show you all how to make the tomboy overall look feminine and girly. I think overalls are such a fun piece, they bring an extra element to your look and there's so many ways to make them look fun. You don't just have to wear them around the house with a t shirt and sneakers. For this look, I wanted to bring in a really girly piece and what's more girly than lace?! I love this one pictured above from Chic Wish . Not only is it the prettiest lace, but it's also a crop top which is another element I like to add when styling with overalls. I think showing a little bit of skin keeps this look, looking fun. But if you don't like the crop, this is similar alternative. I also linked a few of my favorite lace tops. As far as accessories go, think girly. You want to make these overalls look as far from tomboy as possible. My mules are from Banana Republic and they couldn't be anymore girly, tassels and pink suede. If you are looking to rock these with a sneaker these pick lace ups would be a perfect match. If you want to wear this look out the black lace option I linked for you above and these heels would be a great combination. I'm loving the studded metal details on bags for fall and anything embroidered! Another big trend for the fall is Velvet, this Rebecca Minkoff Backpack would add the perfect feminine yet tomboy feel. Remember to keep it fun with the overalls. Distressed girlfriend overalls are always a goto of mine but I am all about this cropped pair which is on my wish list. Also if you want to really make this look feminine opt for a overall dress! Here are a few of my favorite finds.